Over 70 years ago my grandpa opened Topper Bakery. He had opened one before. It failed during the depression. He and my grandma lost everything. At that time he promised my grandmother he would never go into business for himself again. He struggled with odd jobs to support his family and pay back the debt he incurred. After struggling for many years the idea to start another bakery came. When he let my grandma know, she got angry and told him he would have to do it all on his own. He found a building. Lined up supplies and got used equipment and displays. He had everything he needed except for baking scales. He was ready to open and still no baking scales. He was getting everything ready to open. Worried about how he was going to pull it off. When grandma walked into the bakery with scales. I've always loved this story. The fact that this bakery was and is a success. That my grandparents overcame their challenges. And especially that my grandma, in spite of her fear and all that she went through with the failed bakery still came through and helped my grandpa. Speaks to my heart and has always been an example to me. 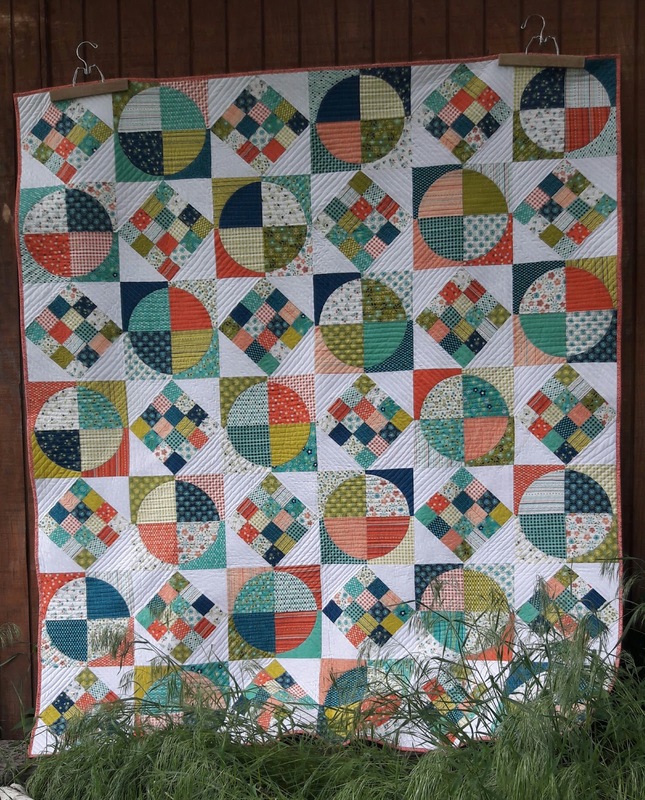 This quilt is designed in honor of my grandparents bakery. It is made up of pies and cakes. I call it Just Desserts. It features the fabric line Well Said by Sandy Gervais. I pieced the back with a lovely gray I found in my stash and some leftover from the front. 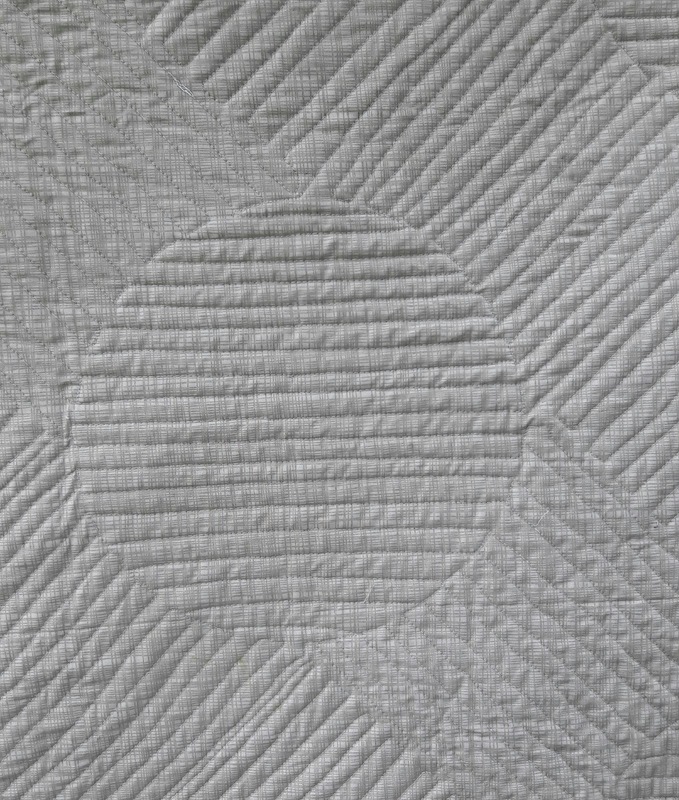 It is quilted with organic lines in geometric shapes. I love the texture it adds to the quilt. You can find this and all my patterns in my Etsy shop. What a beautiful story and a true gift your grandparents gave to you. Love is great! what a wonderful story! Love the quilt! What a "sweet" tribute to your family. Love it! And I am crushing on the Well Said bundles!!! Lovely quilt, and what a wonderful story! 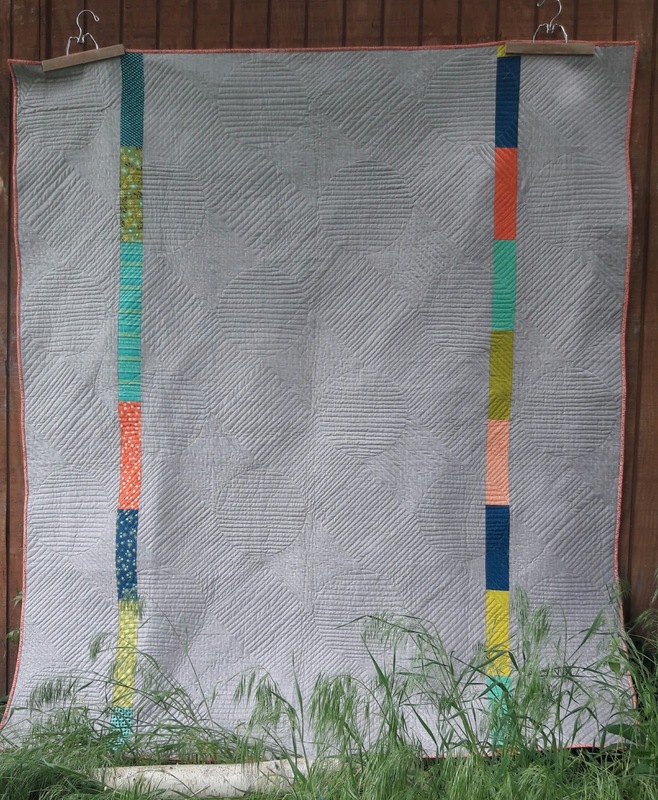 Thanks for sharing your family story - and your beautiful quilt is a great tribute to them! I love the names, btw! 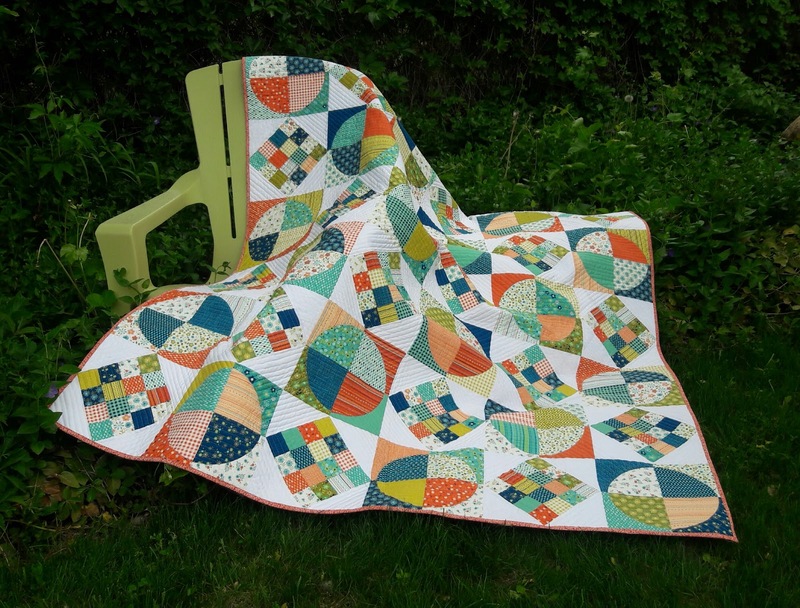 Great story, and a great quilt to go with it. Your quilting is awesome! Such a lovely true story. And a pretty quilt to memoralize it. Sweet story and a cute quilt! I LOVE this story. Those were such hard times for so many. Your quilt is a beautiful tribute to them. The best stories are usually the true family ones. 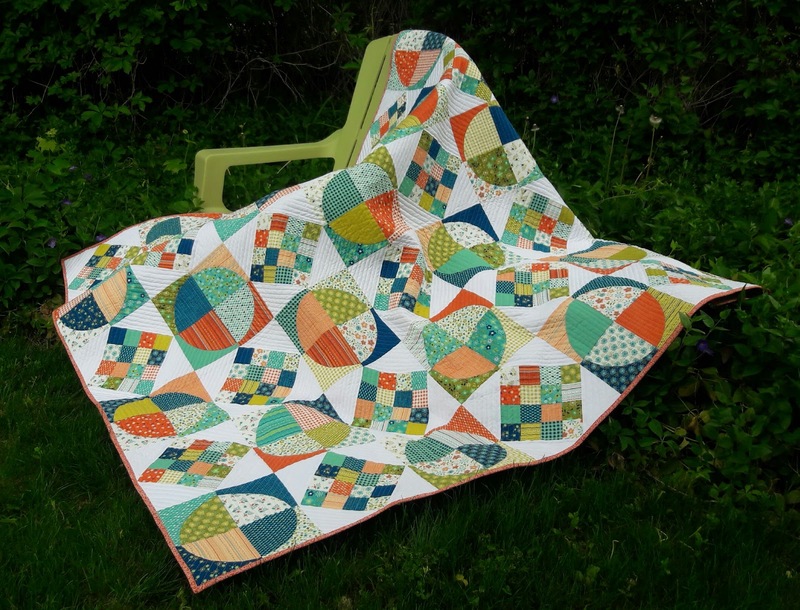 A gorgeous quilt as well, the colouring works really well. Beautiful quilt! And what a wonderful story to go with it! This is a lovely quilt with a wonderful story to go with it. How sweet! That is a great story. I like how she came thru at with the scales. Great quilt too! The story about your grandparents was so sweet! Thank you for sharing it. 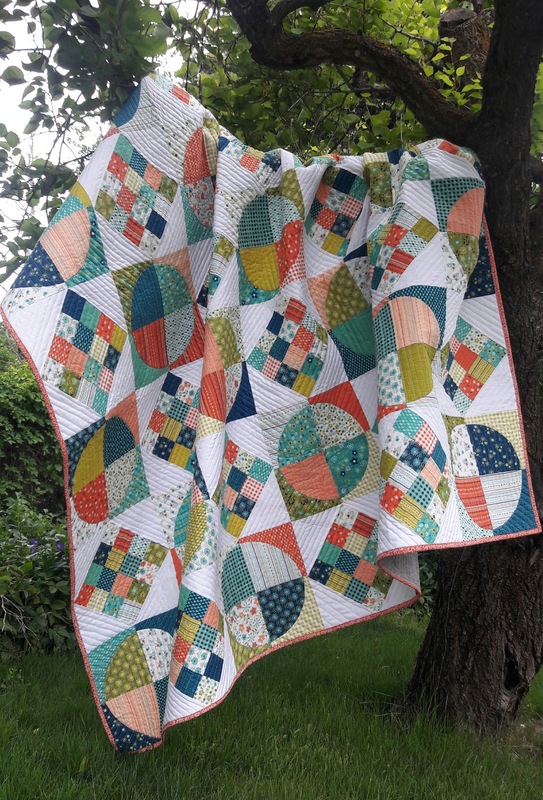 Your quilt is beautiful too! 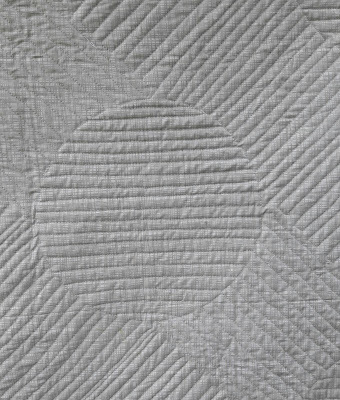 I love to hear true stories behind quilts. 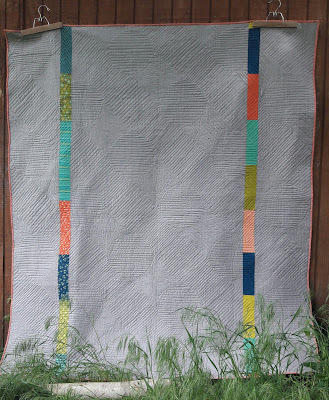 What a great story and inspiration for a quilt. Yay for grandma. Your quilting is wonderful too. My husband's grandfather owned a bakery and shipped bread by rail to all the surrounding towns. I have one of the shipping crates. Anyway, he went out of business when Wonder Bread came to town with their bakery/factory. He then turned the bakery into a tavern.